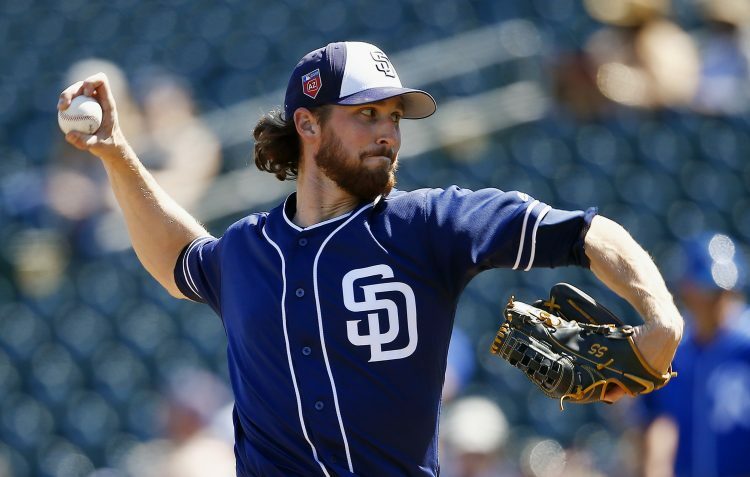 What Version of Bryan Mitchell Will Padres Get in 2019? 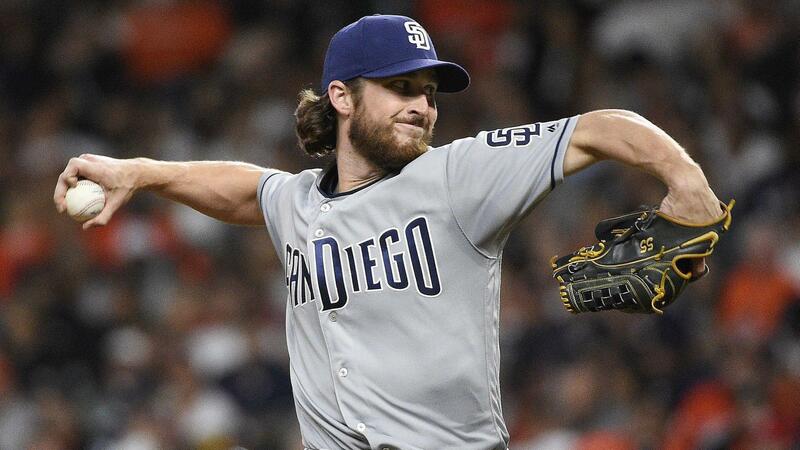 In September of last season, Bryan Mitchell showed why the San Diego Padres valued him. Can he reclaim that form again in 2019? A.J. 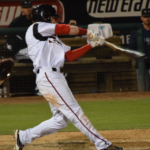 Preller has hit the bullseye on many of his trades. 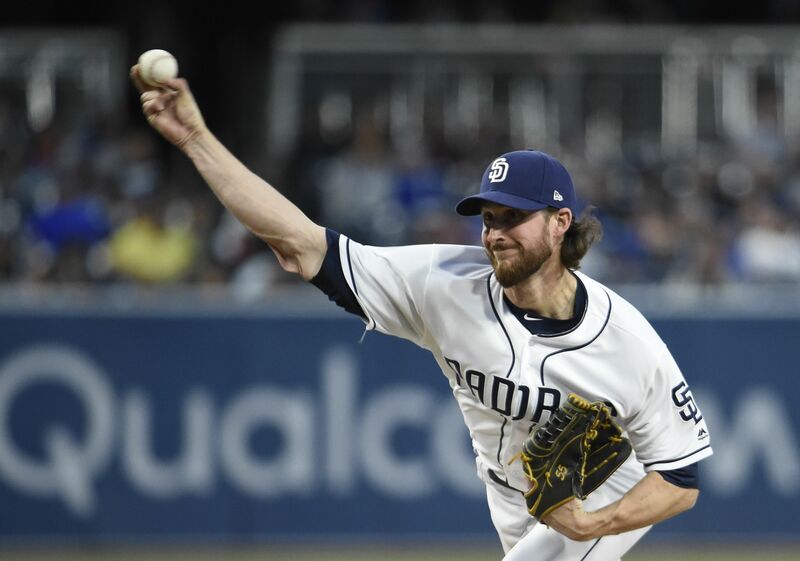 His swap with Kansas City delivered Matt Strahm and prospect Esteury Ruiz to San Diego for the price of Trevor Cahill, Ryan Buchter, and Brandon Maurer. Those three players are no longer with Kansas City. 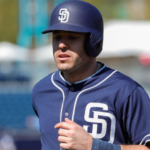 He pickpocketed the Marlins for Chris Paddack and committed highway robbery when he traded James Shields for Fernando Tatis Jr, the current number two prospect in baseball. He has some clout in the trading business. His trade with the New York Yankees for Bryan Mitchell, on the other hand, has quickly become one of Preller’s duds. 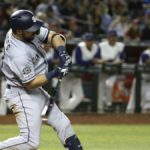 Acquired December 12, 2017, along with Chase Headley, Preller essentially bought Mitchell from the Padres. 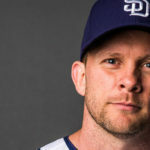 To acquire the lanky right-hander, the Padres absorbed Headley’s $13 million contract as well as half of his $1MM assignment bonus. While the player they traded, Jabari Blash, didn’t amount to much with the Yankees, it was the price of Headley made the trade seem like a misfire from the start. The performances of the two players didn’t help their reputation either. Headley, after limping to a .115 batting average and a .368 OPS in 27 games, was designated for assignment in May. 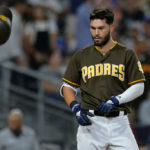 Mitchell, on the other hand, became the whipping boy of Padres fans everywhere after posting an ERA of 7.02 in the first half before hitting the disabled list in June with an elbow injury. However, he looked like a completely different pitcher after the injury. 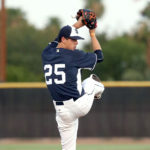 In the four games he pitched in September, Mitchell tossed 24 2/3 innings of 2.19 ERA ball with a 15:8 strikeout-to-walk ratio, while compiling a 1.22 WHIP. While a 4.50 FIP and 4.46 xFIP balances out the ERA, it is leagues better than what he offered at the beginning of the season. It was the tale of two seasons for Mitchell. So, this begs the question; what version of Mitchell will we get in 2019? Will it be the Bryan Mitchell that got clobbered and a half in the first three months of the season, or the Bryan Mitchell that only allowed six runs in four starts in September? First, he has to win a spot in the starting rotation. Unlike last season where he was handed a spot in the rotation in Spring Training, now he is gonna have to earn it. The only players to own spots (for now) are Joey Lucchesi and Eric Lauer, but in the mix are Paddack, Luis Perdomo, Jacob Nix, Cal Quantrill, Logan Allen, Matt Strahm, and Brett Kennedy. It won’t be a walk in the park either, as Strahm has looked stronger after gaining 20 pounds in the offseason, Allen and Quantrill are nearly ready for the Show as it is, and Paddack isn’t playing around and is all in on taking a spot for himself this Spring Training. However, looking back on his numbers from 2018, the prognosis isn’t good for Mitchell. In his seven starts from April 2 to May 5, he allowed three or more runs in all but one of them. In four of those games, he walked more men than he struck out including a six-walk game against Houston on April 7 and a five-walk performance in his next start against the Giants. He wasn’t fooling anyone with his stuff either, as his overall chase rate dipped to a career-low 20.7 percent while his 5.9 SwStr% (Swings and misses) was, according to FanGraphs, one of the worst in the league. It seems that he was lucky to get an ERA of 5.42, as a 6.11 FIP, 5.53 xFIP, and a 5.89 SIERA indicate that he was worse than what his numbers indicated. His groundball rate dropped by seven points while his flyball rate jumped by seven points, not to mention his hard-contact rate of 42.1%. In reference, his hard-contact rate in 2017 with the Yankees was 23 percent. Has it also been mentioned that his HR/9 rate spiked from a 0.55 in 2017 to 1.48 in 2018? Even if Mitchell were to win a starting gig out of Spring Training, who is to say that the pressure of Allen, Quantrill, and Paddack nipping at his heels won’t get him to crack? Factoring in the return of Dinelson Lamet by midseason, and Mitchell is most likely a place-holder until the kids come up to play. Where does he go from there? The bullpen? Not when it is currently filled with quality relievers like Robert Stock and Kirby Yates, with more options in the minors if one of them were to go down. So, not only was Mitchell not striking anybody out, but he was also giving up a lot of hard-hit balls that left the yard in a hurry. This does not bode well for his prospects in 2019 and in fact, makes him look like he’ll be worse this season. 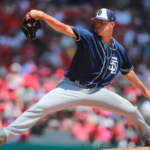 Mitchell will get the opportunity to prove himself and showed flashes off decency in September, but if his numbers from last season are any indicator, it is going to be an ugly season for Mitchell if he toes the rubber once every five days for San Diego. At best, he will buy some time for the rookies to come up, but at worse, Mitchell may be out of a job by midseason. It’s hard to be optimistic about Mitchell. He might have pitched at less than 100% before his DL trip, but he was not so hot when he returned. A 15 to 8 KO to BB ratio is barely ML caliber production. And his career numbers of 102 to 87 are dreadful. But he does have a live arm, is only 27 and has thrown all of 171 innings. So it’s possible he amounts to something, but at this point it’s a believe it when we see it situation. Now as to Preller’s rep as a trademaster, huh? Sure he’s pulled off a few decent ones, but far more disasters. Most of the trades made before 2015 were ill advised. Grandal for Kemp alone was a colossal mistake. Kimbrel to Boston? Margot has been a bust so far, Guerra is no better than a reserve, Asuaje is gone, only Logan Allen has any impact potential left. Dismissing all the roster churning trades, where we flipped a recently acquired player for prospects, it really seems that only the Tatis trade was a win. And of course that cost the team $40 mil to acquire Tatis. That might still work out to be a bargain, but Tatis is still a prospect and not a proven ML player.